High wasted, wide leg culottes with front pleats. Looks great with t-shirts and blouses tucked in. 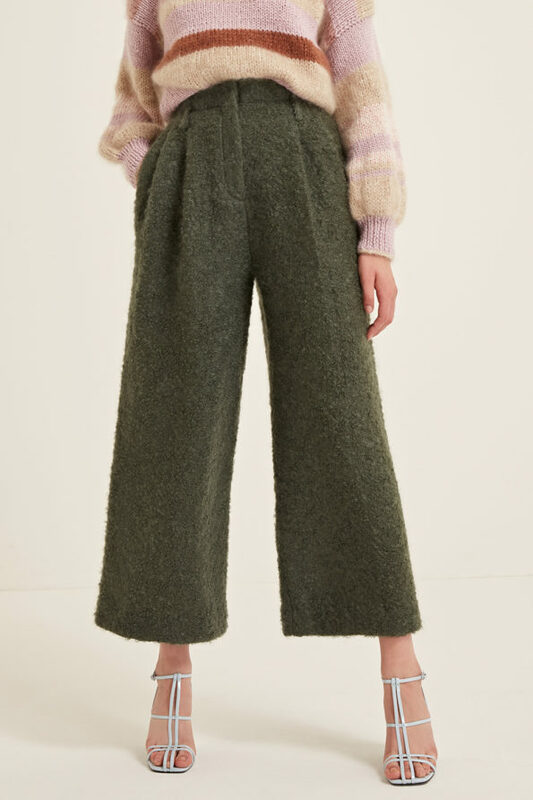 Charlotte culottes will keep you warm and stylish through fall and winter season. Made in the UK.